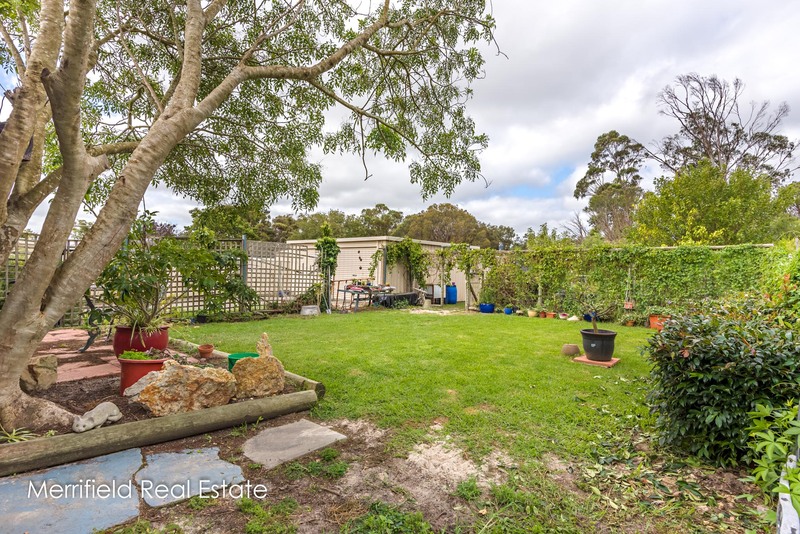 Outdoor play would be high on the kids’ agenda – there are trees to climb, lawns for kicking the footy and all the room they need for swings, cubbies and trampolines. 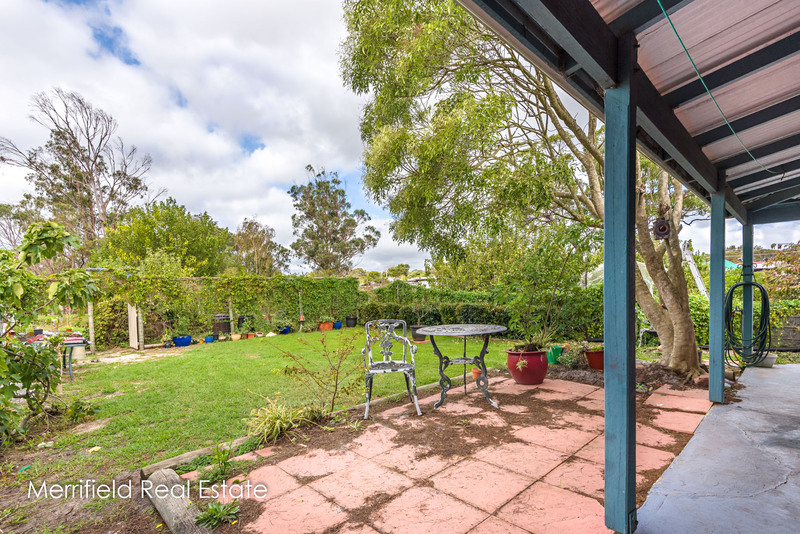 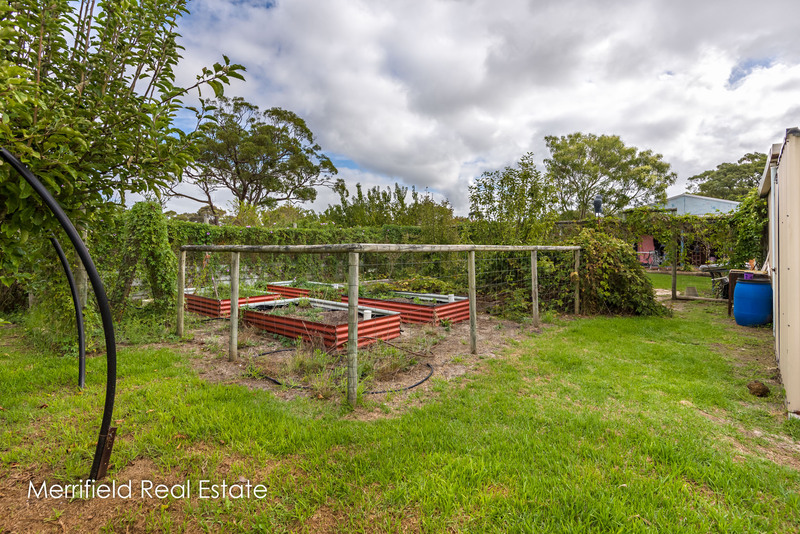 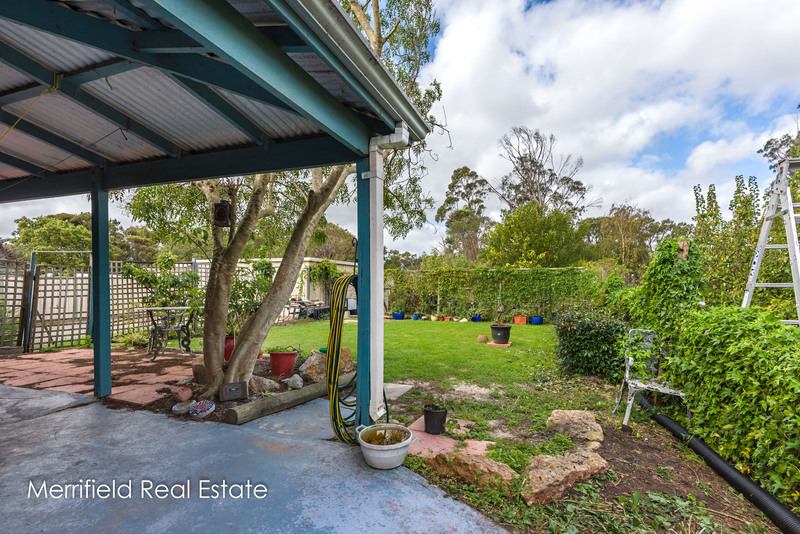 There’s also a double garage-workshop with power, a chook run, numerous mixed fruit trees and vines, vegetable beds, a woodshed and a garden shed. 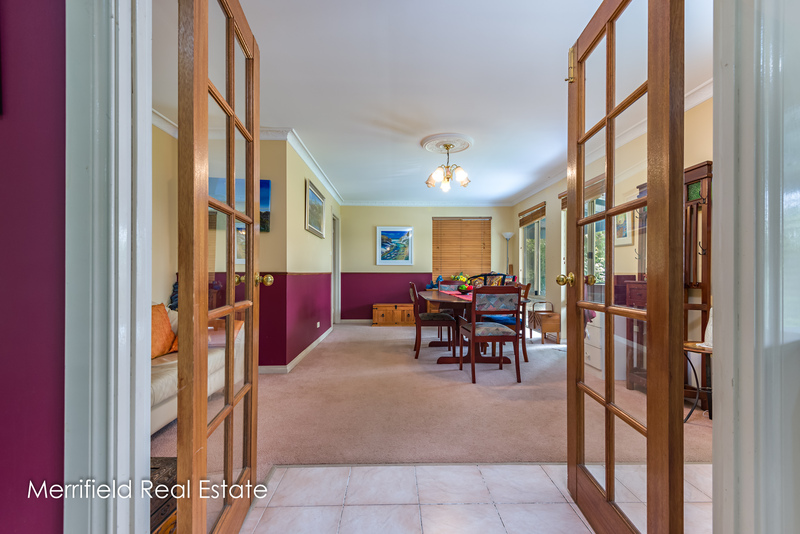 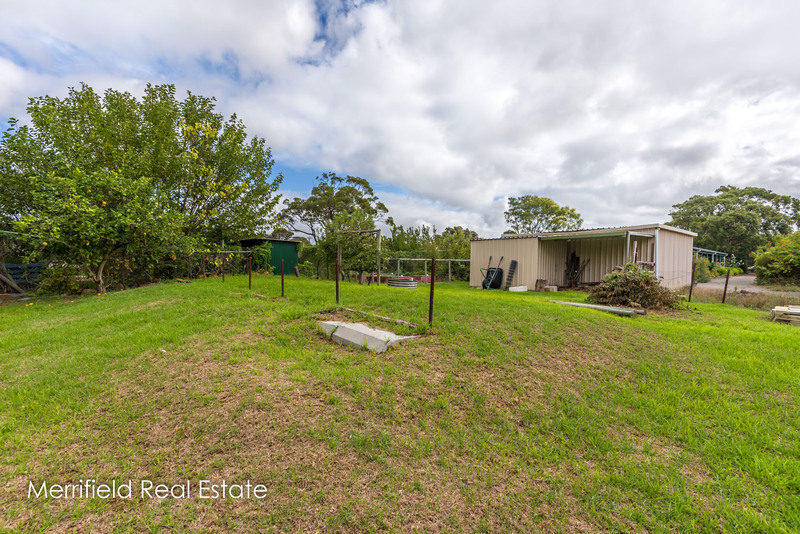 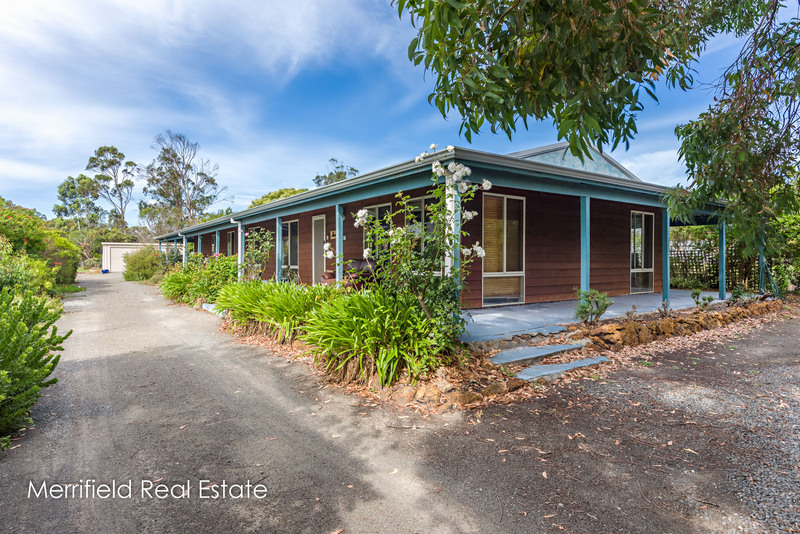 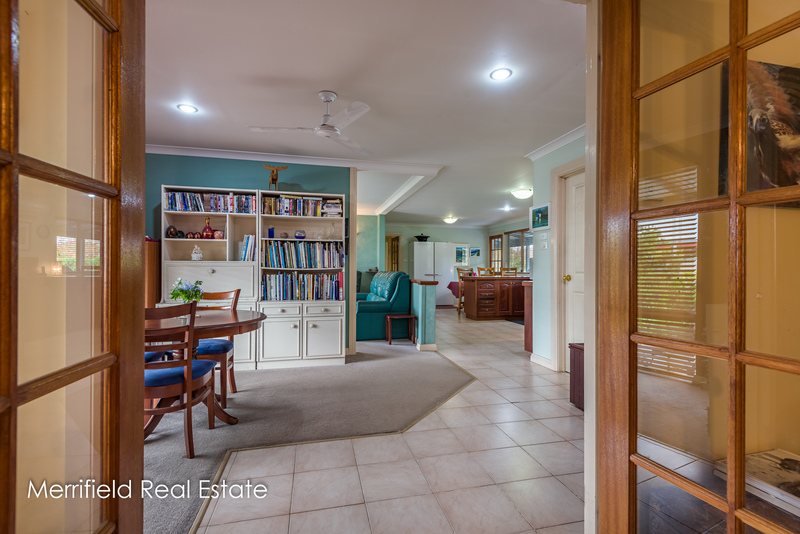 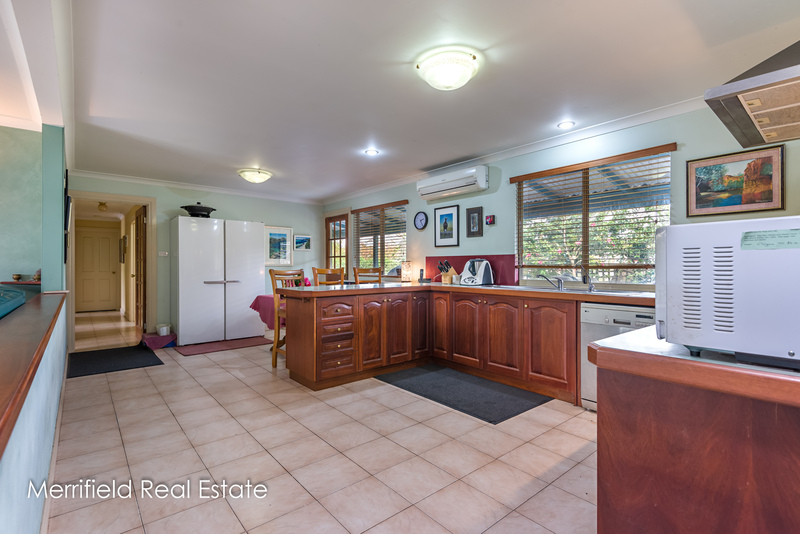 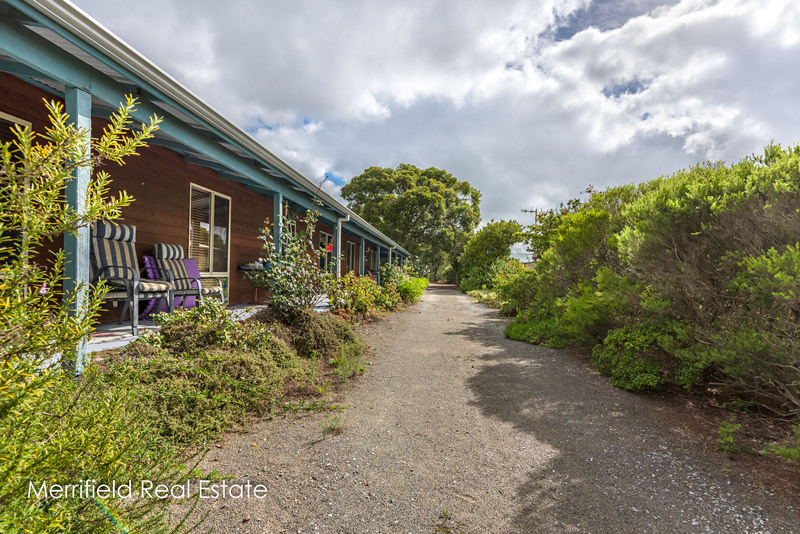 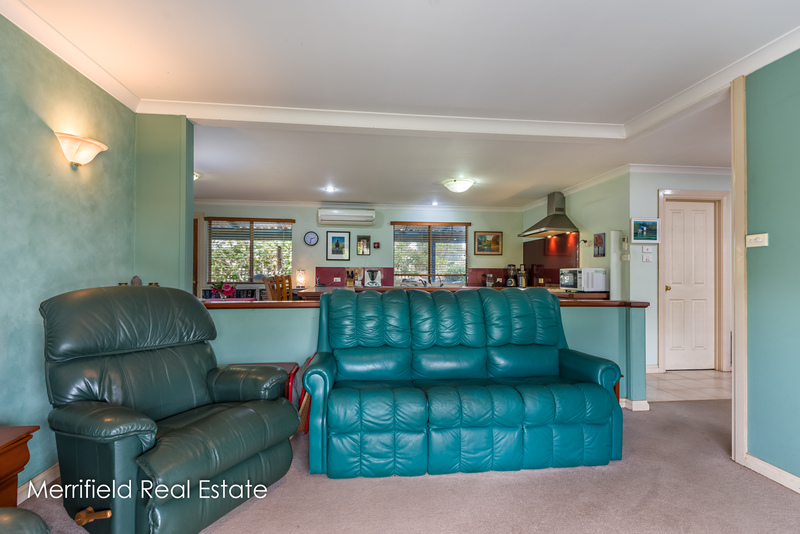 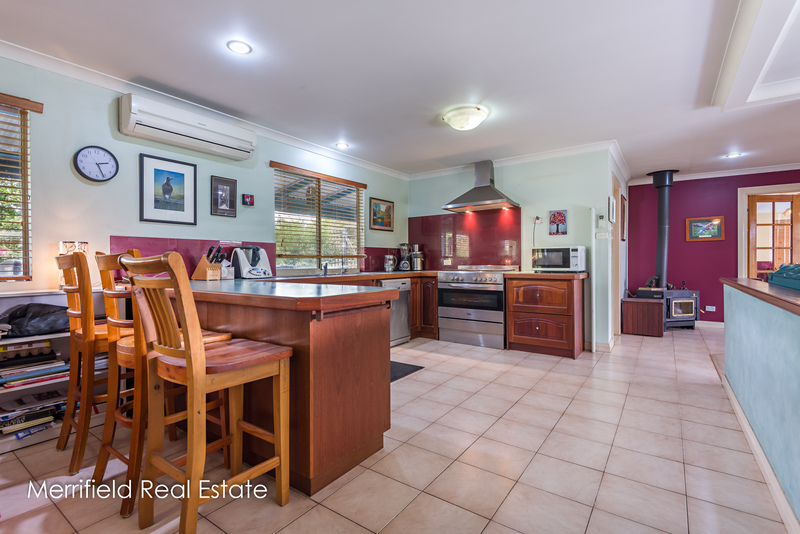 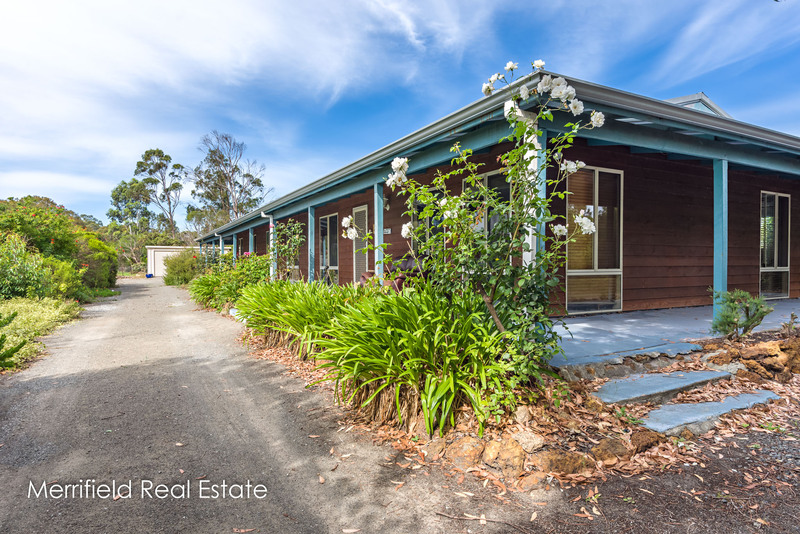 Set well away from the road behind a circular driveway and sheltered by native timbers, the home has verandas all round for a choice of outdoor living spots. 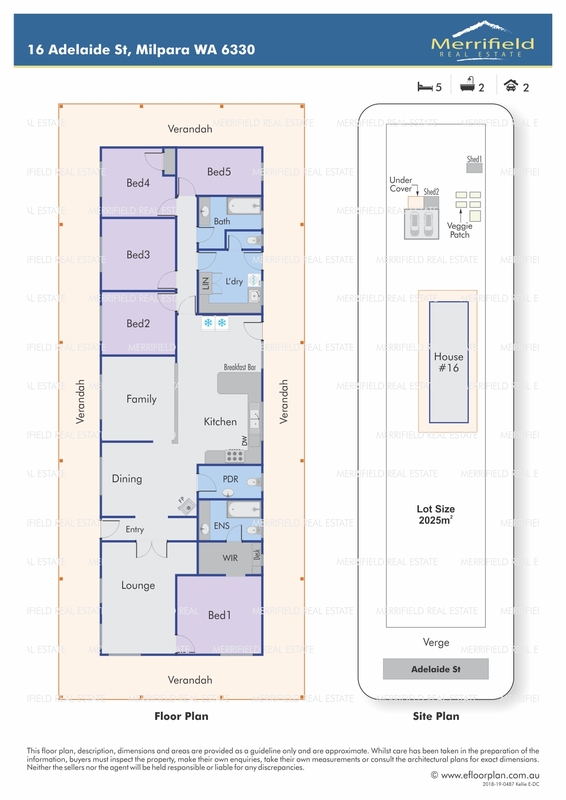 Inside, the floor plan allows plenty of flexibility in the living areas on the sunny northern side. 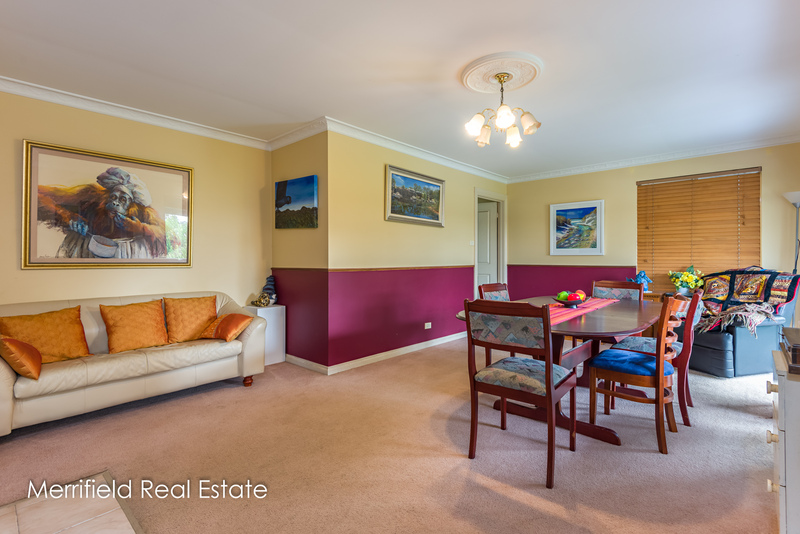 There’s a sizeable formal lounge or dining room, which would just as easily serve as a games room, hobby room or kids’ playroom. 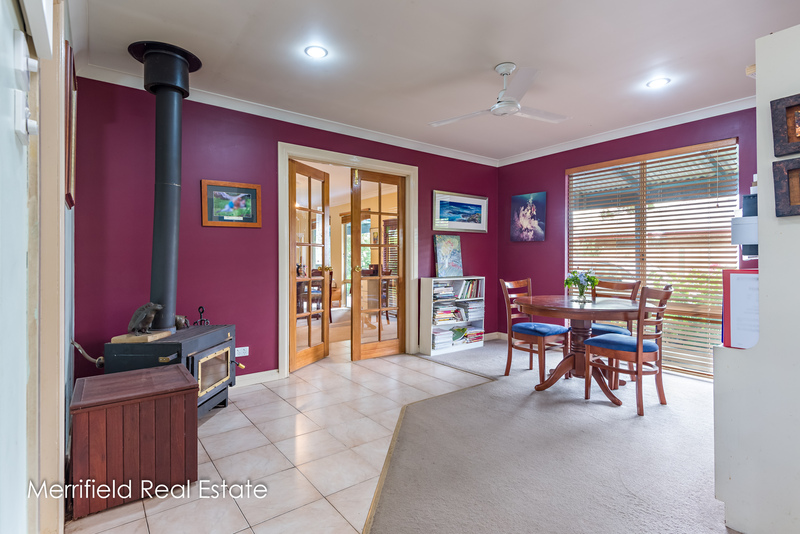 Next to this, through French doors, is an open living area comprising the family room and dining space with a centrally located wood fire. 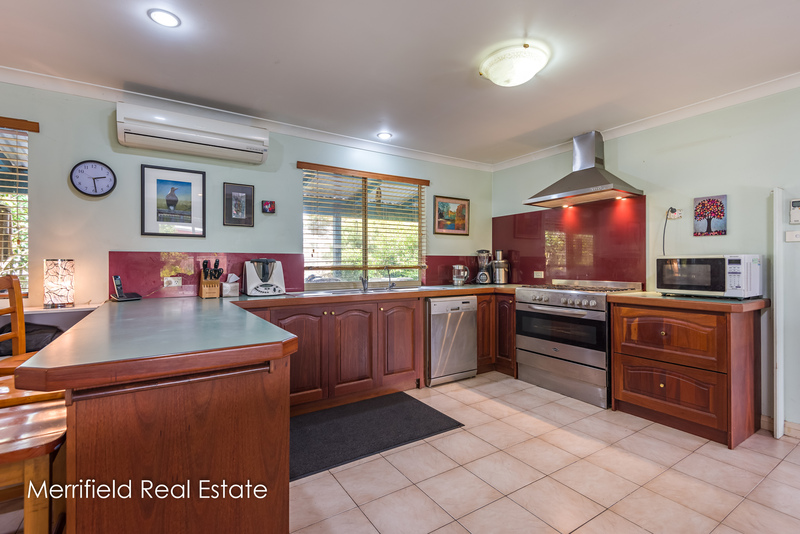 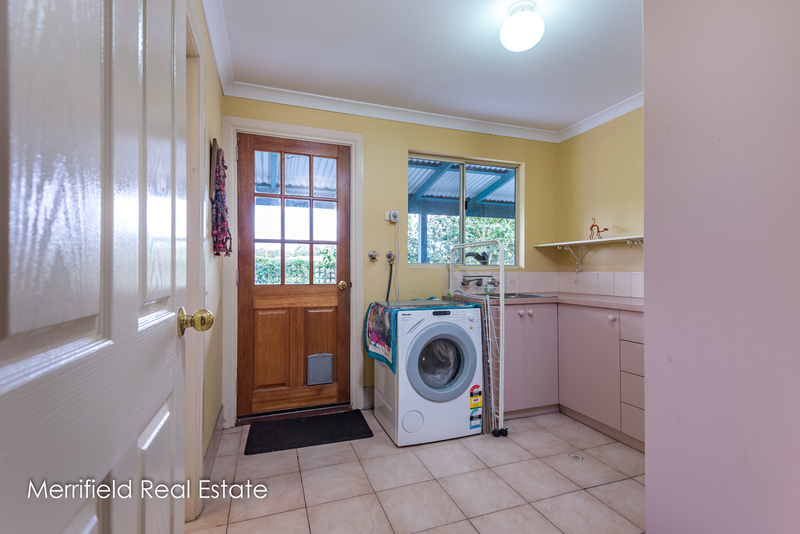 Having a big kitchen is the dream of most family cooks, and this one, with its walk-in pantry, dishwasher, timber cabinetry and wide chef’s stove would surely fit the bill. 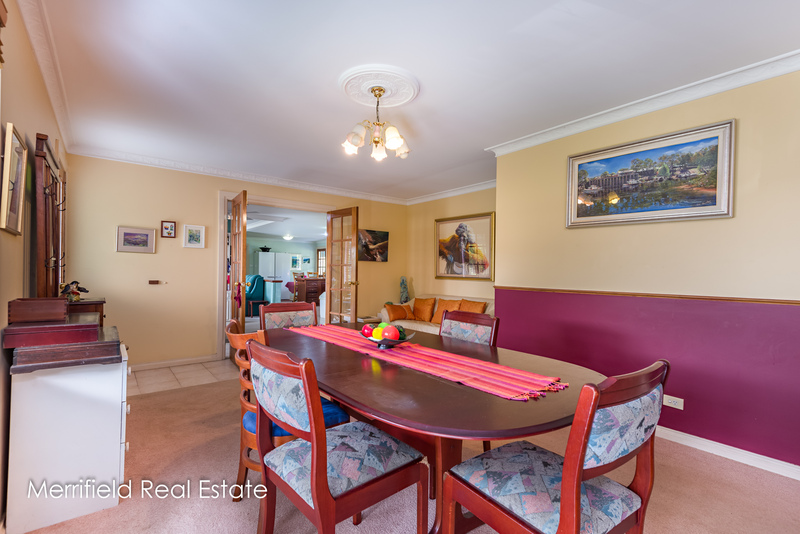 There’s even space at the side for a meals table. 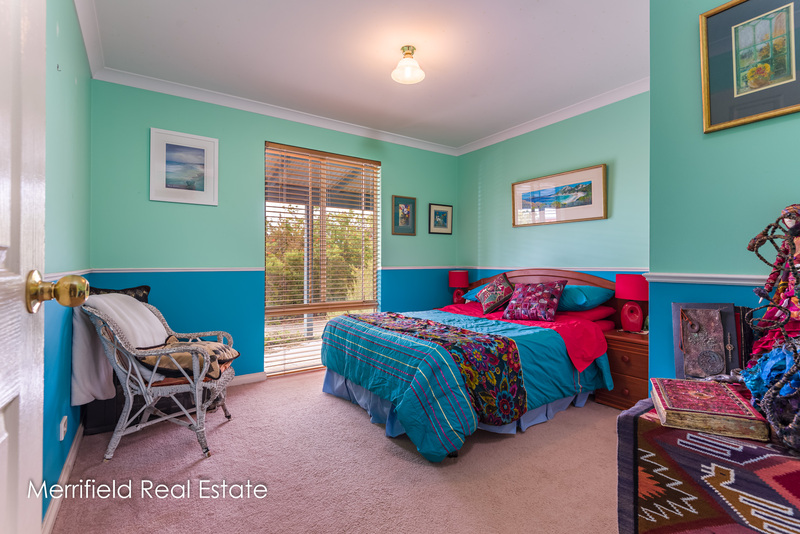 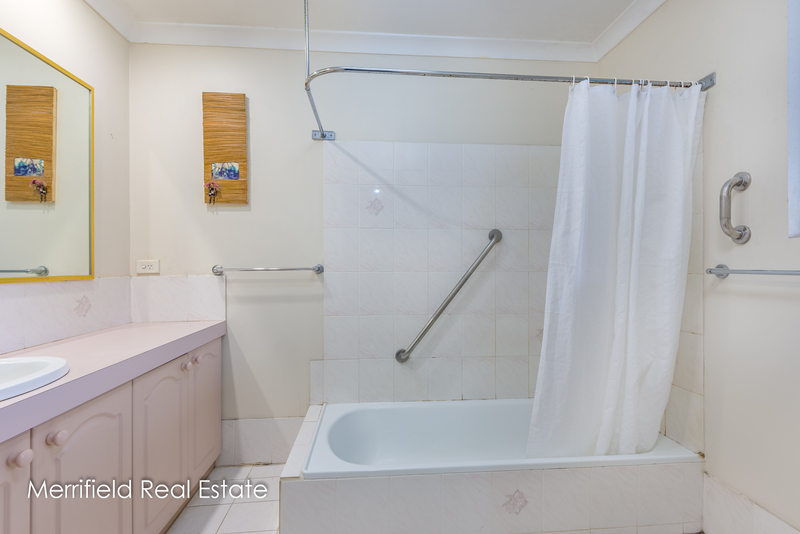 At the front is the master bedroom with an adjoining dressing room and robes accessing the en suite bathroom. 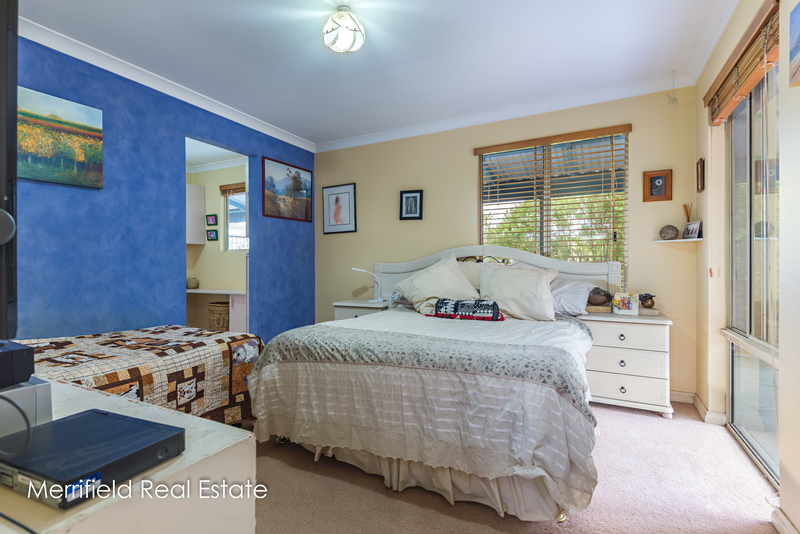 Four more bedrooms at the opposite end of the house have built-in robes. 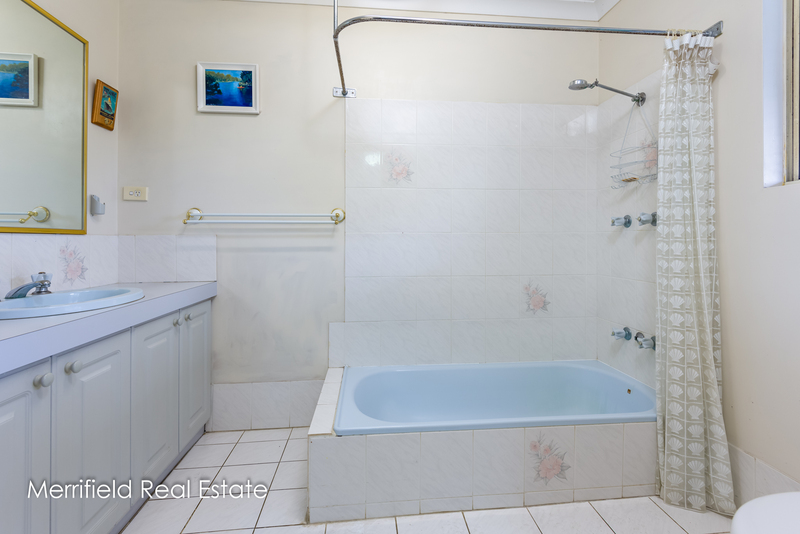 Two are doubles; two are good-sized singles and all share the family bathroom with bath, shower, toilet and vanity. 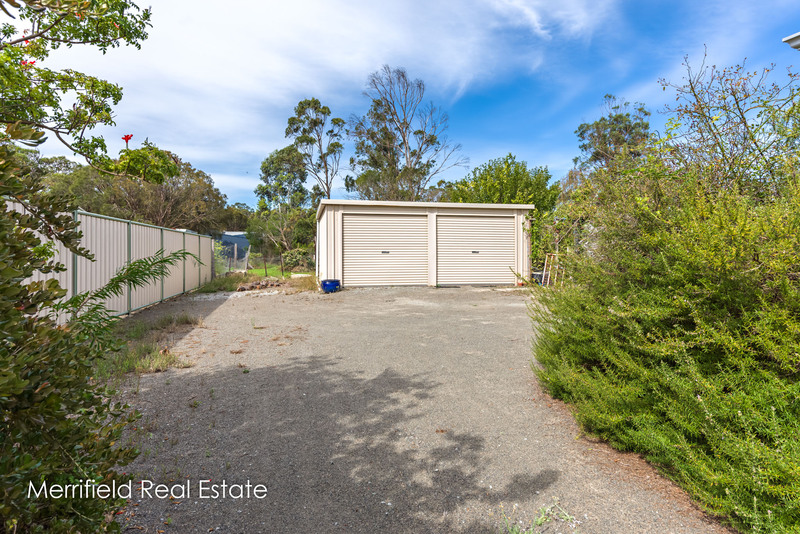 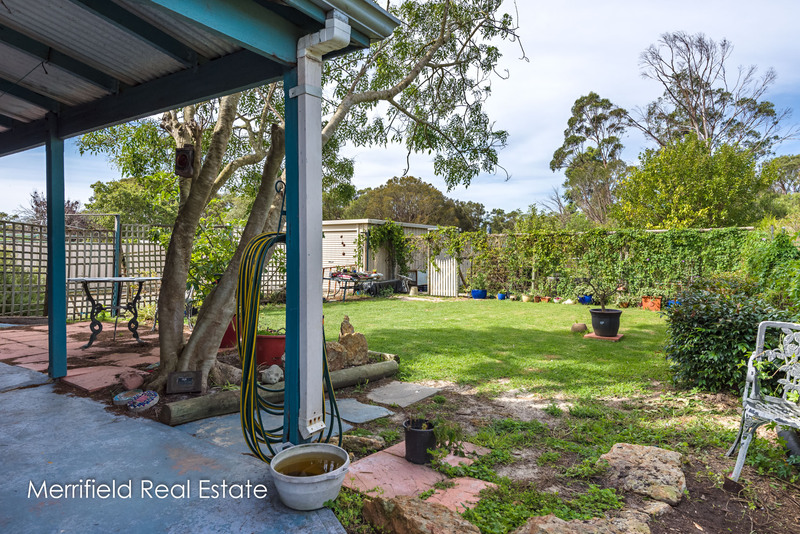 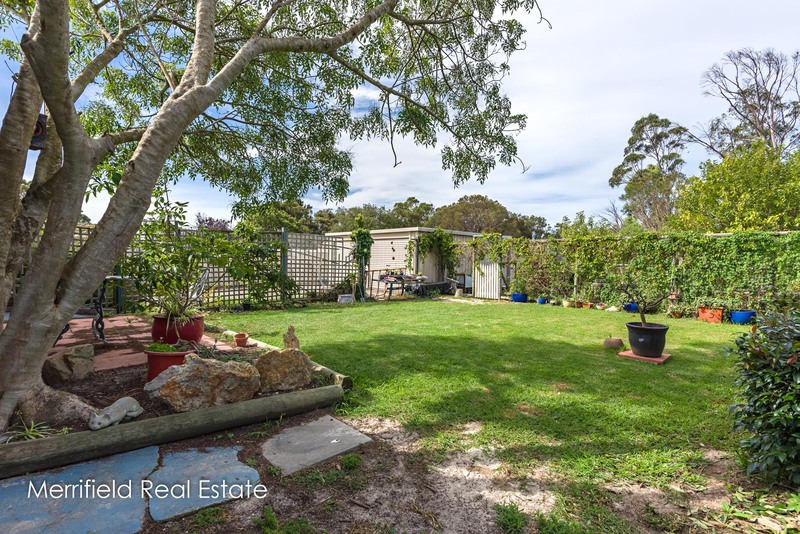 The back yard is fenced to contain young children and dogs and the block allows plenty of space for storing the caravan, boat or trailer and parking big vehicles. 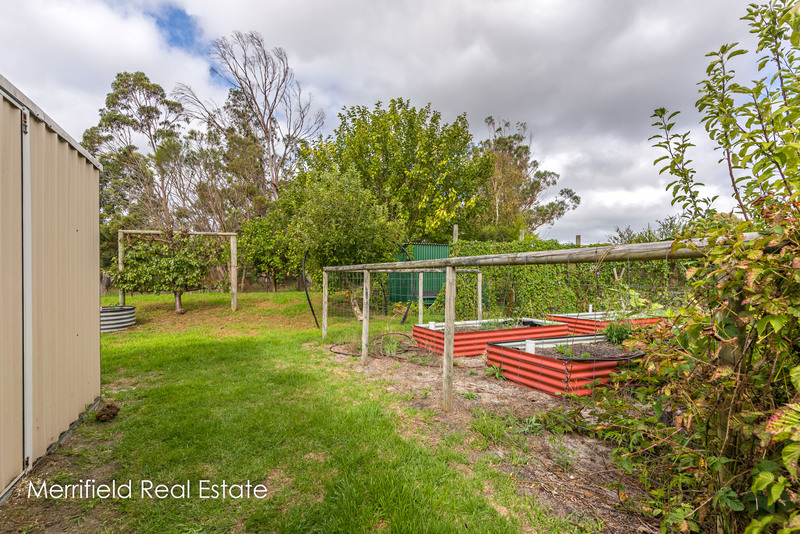 This property will motivate buyers who aspire to bring up the children in a country environment, and it proves you can have all this as well as the necessary family amenities almost on the doorstep.